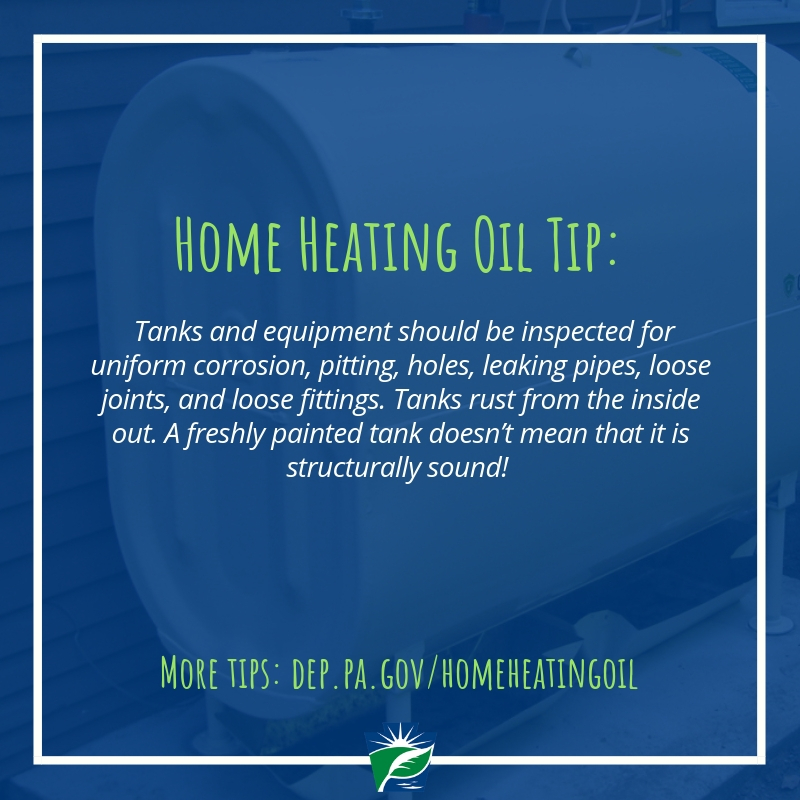 Don’t wait until the frost rolls in to think about your heating oil tank. 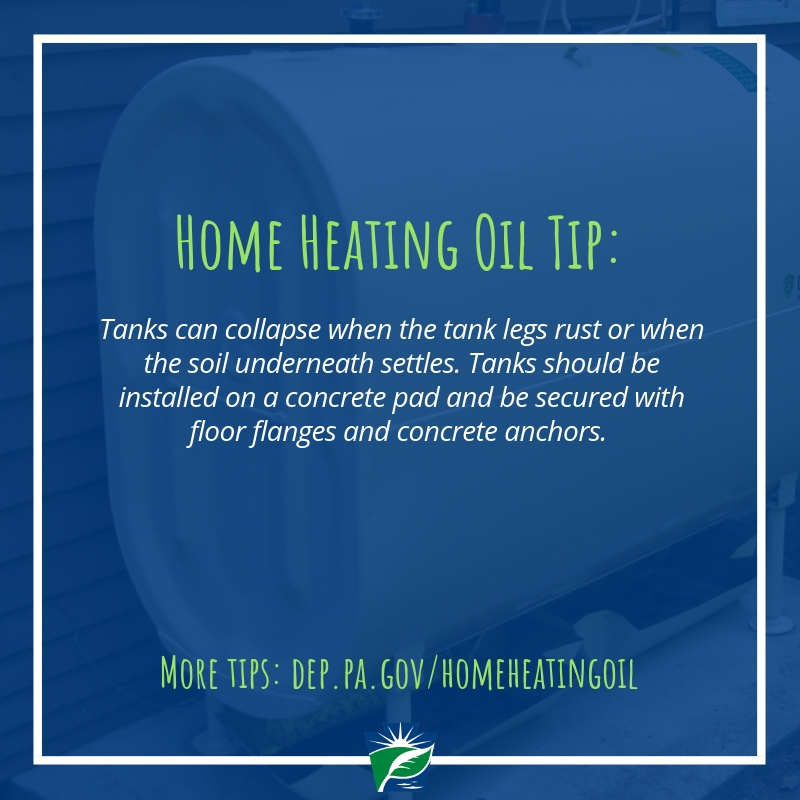 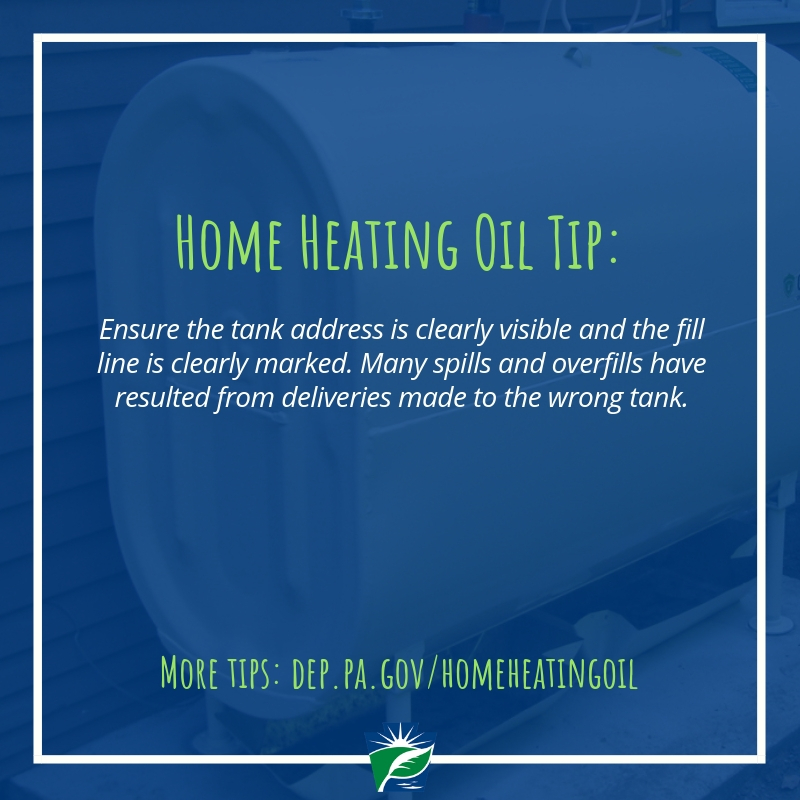 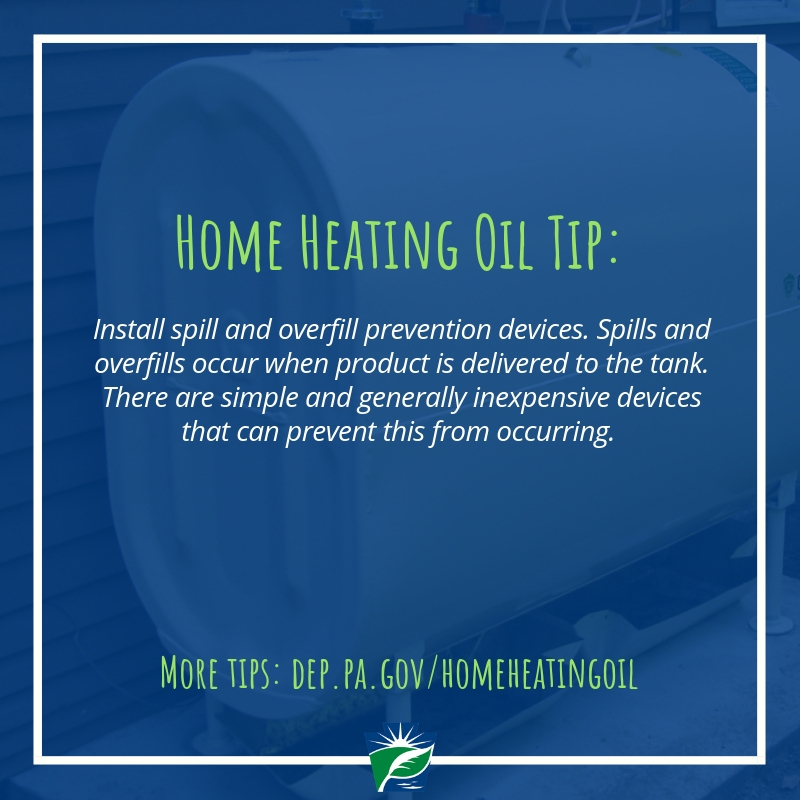 Leaks and spills from a home heating oil tank can be damaging to the environment and costly to clean up. 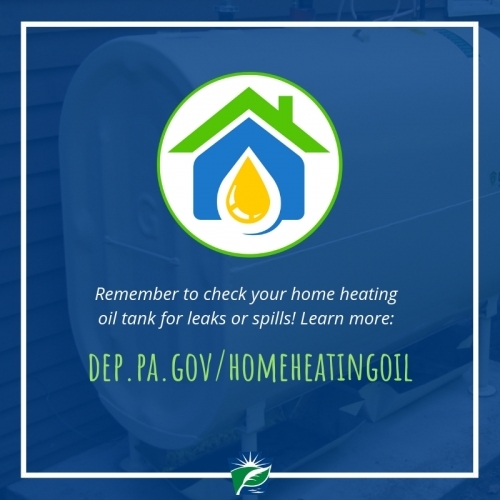 The Pennsylvania Department of Environmental Protection has recently updated its materials and created a webpage full of resources. If you use home heating oil, please review this material before it’s time to turn on the heat.